Are you looking for educational opportunities to increase your knowledge and expertise while networking with other industry professionals? The Greater Atlanta Home Builders Association is the premier source of residential building education in Georgia. Explore the HBA’s extensive education programs geared towards licensing, professional designations, certifications and continuing education. The Greater Atlanta Home Builders Association has also partnered with the Oregon Home Builders Association to offer online education – available at homebuildersuniversity.com Please note that according to state licensing rules for continuing education, online and correspondence courses may account for up to 50% of hours required. Take your business to the next level with resources from the Greater Atlanta HBA Industry Bookstore. The Industry Bookstore is stocked with industry information and resources including contracts, code books, licensing books, trade contractor agreement and scopes of work, marketing strategies, performance standards, warranty guidelines and more. Looking for even more resources? Also check out the National Association of Home Builders Bookstore. Advance your career with professional certifications and designations! Earn a credential through the GAHBA to demonstrate your knowledge of the industry and to position yourself and your company as a candidate for rapid growth. The Certified Professional Home Builder (CPHB) certification carries the highest degree of respect and recognition among local builders. The Earthcraft House Builder certification is a locally-based green building certification. NAHB offers many designations such as the Certified Graduate Remodelers, Certified Sales Professional designation and Certified Aging in Place. For Superintendents and Project Managers, we offer the Residential Certified Superintendent program through HBI. Certified Professional Home Builder: Long-standing builder certification program designed to connect the homebuying public with Certified Professional Home Builders dedicated to the highest levels of professionalism, service and homeowner satisfaction. Learn more. 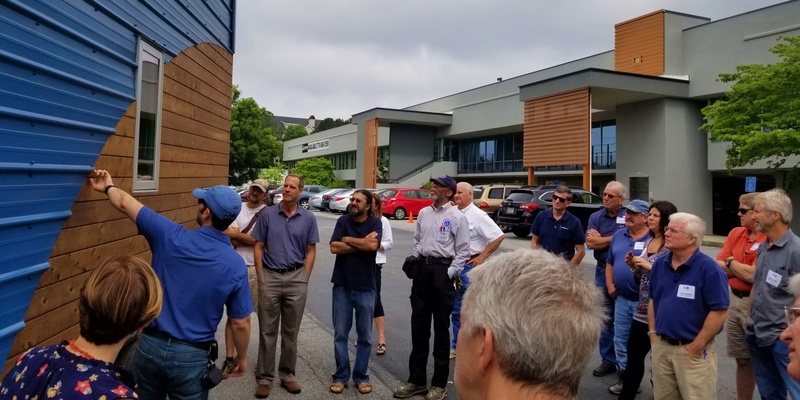 EarthCraft: Established by the Greater Atlanta Home Builders Association and Southface Energy Institute, EarthCraft is a green building education and certification program serving builders and remodelers in Atlanta and the Southeast. Learn more. Certified Lead Renovator: Take your business to the next level with resources from the Greater Atlanta HBA Industry Bookstore. The Industry Bookstore is stocked with industry information and resources including contracts, code books, licensing books, trade contractor agreement and scopes of work, marketing strategies, performance standards, warranty guidelines and more. Level 1A Blue Card: In the NPDES Level 1A certification course, attendees will learn to implement an effective Erosion and Sedimentation Control Program. Attendees will also learn NPDES documentation requirements, how to properly inspect BMP’s and will obtain an introduction to the Georgia Erosion and Sedimentation Act (GESA). A written exam is administered upon conclusion of the course. All applicants taking this course are required to submit lawful presence documentation to the Georgia Soil & Water Conservation Commission (GSWCC). Residential Construction Superintendent: This is a sought-after training program designed for current and aspiring jobsite superintendents in the residential building sector. Developed by industry subject matter experts, the RCS Designation teaches the rigors of this important construction management role. Click here for more information.